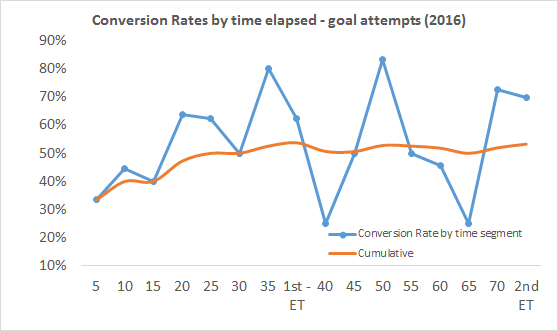 Possessions, Attack Rate, Shot Rate, Expt Pts …. Tipperary blew Galway out of the water. They were so comfortable that their shooting was able to be well below par yet they could win by 10 points in a hack canter. Generally speaking teams score at the rate of 0.3 points per possession. Having 15 more possessions in a game, which is the biggest gap this year – Monaghan had a surplus of 13 in their one sided procession against Down, gave Tipperary a ~5 point leg up. 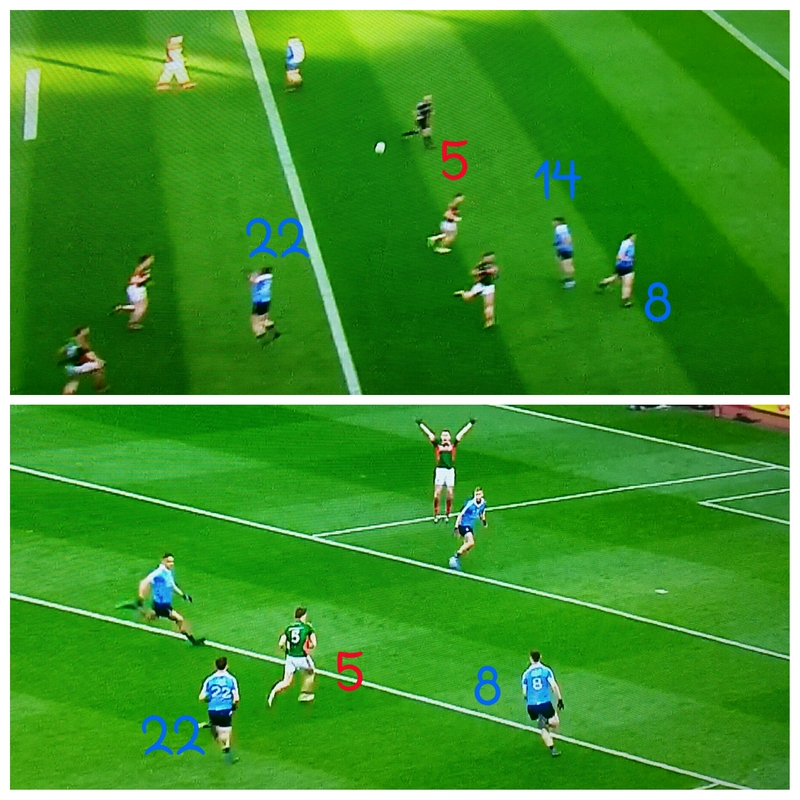 Those shot gains came in a variety of ways – balls back off the post, being first to goalkeeper parries or picking up balls further out the field after shots were blocked – and indicate perhaps just how much more alert, and on their toes, Tipperary were compared to Galway. 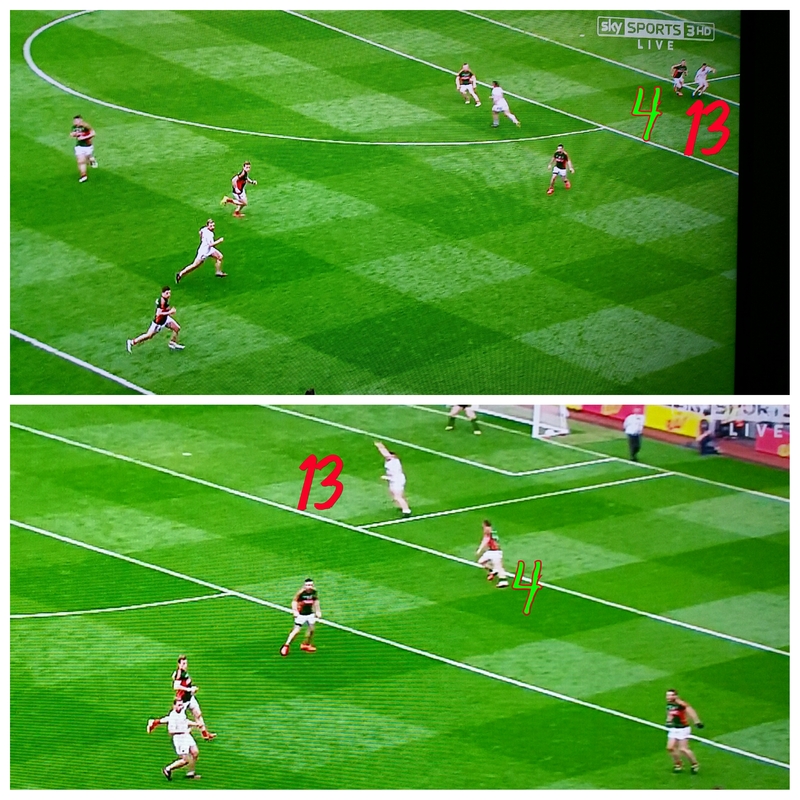 Galway didn’t engage Tipperary high up the pitch so only nine of their possessions occurred outside their own kickout or their own 65m line. They had to work hard to get the ball up to the forwards and when they did they just didn’t pull the trigger. 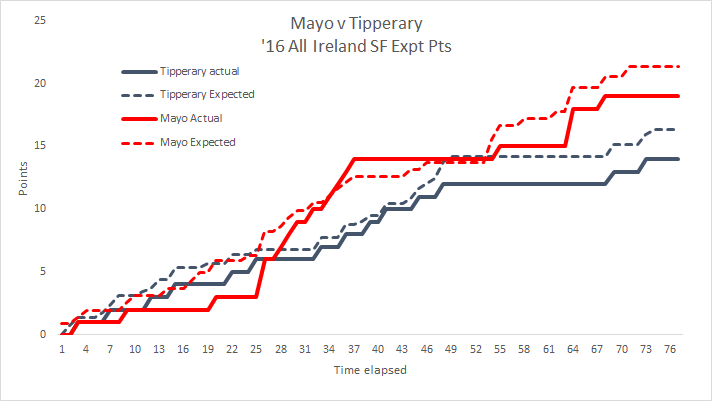 It is somewhat understandable in the second half, when the game was gone with 20 minutes to go, that they were shot shy in an attempt to get goals but in the first half, when it was there to be won, they only had 10 shots compared to Tipperary’s 24. Indeed after Danny Cummins’ point in the 14th minute which put them 0 – 04 t0 0 – 01 ahead they did not have another shot from play until Paul Conroy’s effort in the 32nd minute. In that intervening 18 minutes they had seven possessions and four attacks with just a Gary Sice missed free to show for their efforts. 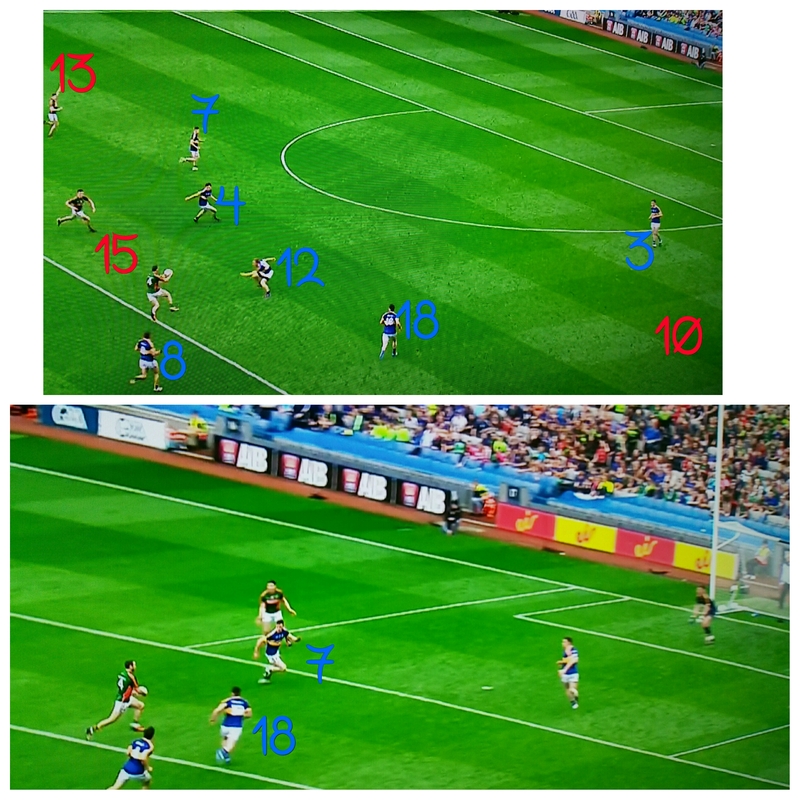 Tipperary in that same period had 15 possessions, 14 attacks and 12 shots (including four on goal) scoring 1 – 06. Galway were absolutely blitzed and the 1-01 they scored at the end of the half enabled the HT scoreboard to gloss over just how comprehensively outplayed they were in the first half. That being said the Tipperary performance was not without its issues. Yes they racked up a large possession volume and their approach play was such to produce high attack & shot rates. But their shooting itself was poor. In the previous round against Derry it was noted that whilst they had run up another big score (an impressive 1 – 21) this was achieved through volume rather than overt accuracy. Their Expt Pts total that day was +0.14 off of 37 shots. Again the 37 was high but their overall accuracy was bang on average. Against Galway they had an even more impressive 42 shots but “only” scored 3 – 13 gaving an overall conversion rate of 38% and an Expt Pts tally of -5.13. That’s the problem with racking a possession volume through the “other” origination outlined above – you have to miss your original shot to regain the possession! 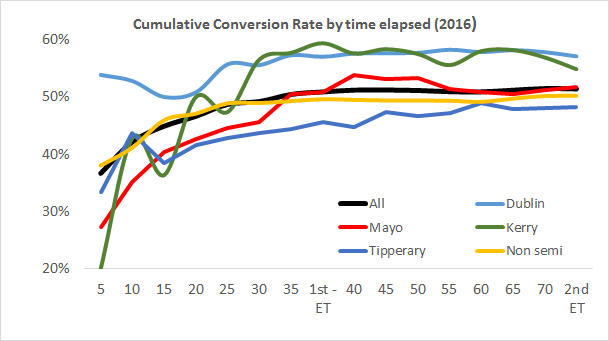 We won’t see many games where you have a conversion rate less than 40% (only other winner this year was Tyrone against Donegal), such a negative Expt Pts and yet still romp to a 10 point win! So how was such a negative waiting obtained? So stripping out goal attempts and deadballs that leaves some very poor point taking. 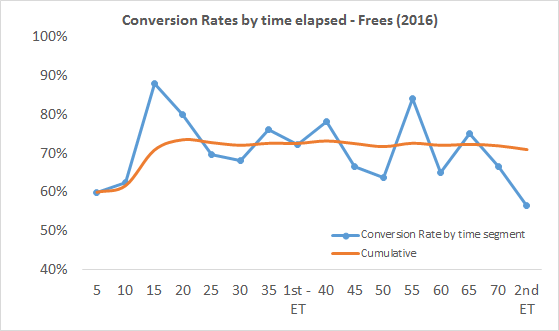 Tipperary had 27 point attempts but only scored 0 – 08; a 30% Conversion Rate with an Expt Pts return of -4.02. There is no hiding just how poor that is. The question then becomes will it be repeated? One element of the performance that will give Tipperary solace is that they came out cold. We must remember that this was the first big Championship match in Croke Park for a lot of these players and it showed early on. 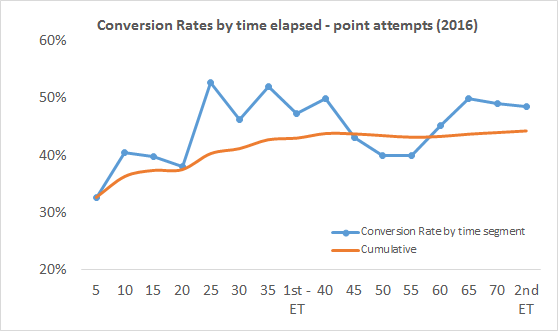 Until the Quinlivan goal in the 16th minute Tipperary’s shooting from play read as 0 – 01 from 10 attempts (10% Conversion Rate) with an Expt Pts of -3.37. Whether it was the occasion or the very new test of shooting in to an empty Hill in a quarter final they were very, very poor early on. 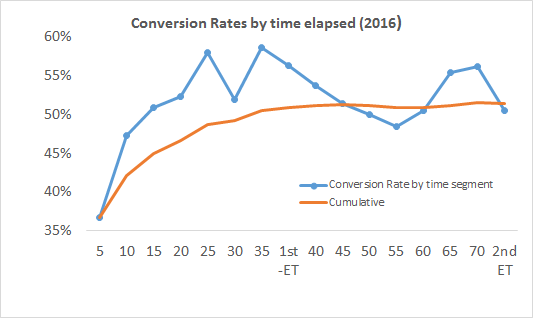 Thereafter they were much better returning 0 – 07 from 17; a low enough Conversion Rate of 41% but the Expt Pts of -0.45 shows it was only a touch below expected. Against Derry they were 12 from 21 (57%, Expt Pts of +1.00) when attempting a point. That’s not a huge amount to go on but we can say that over the two games, apart from a 16 minute spell at the start of the Galway game which does have mitigating factors, they were about average. 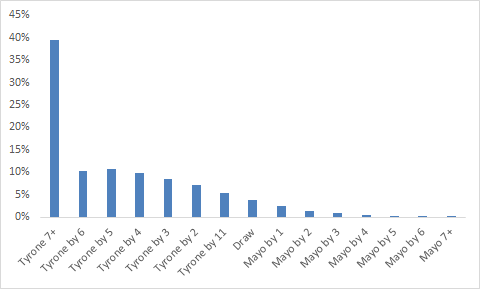 If they continue to produce the same volume of shots against Mayo or Tyrone as they did against Derry & Galway then they will take average shooting. As noted above Tipperary were on top when it came to getting their hands on the opposition’s kickouts. Galway had 27 kickouts in total winning 16 with Tipperary claiming the other 11. That however is somewhat misleading as seven of Galway’s kickouts went short. 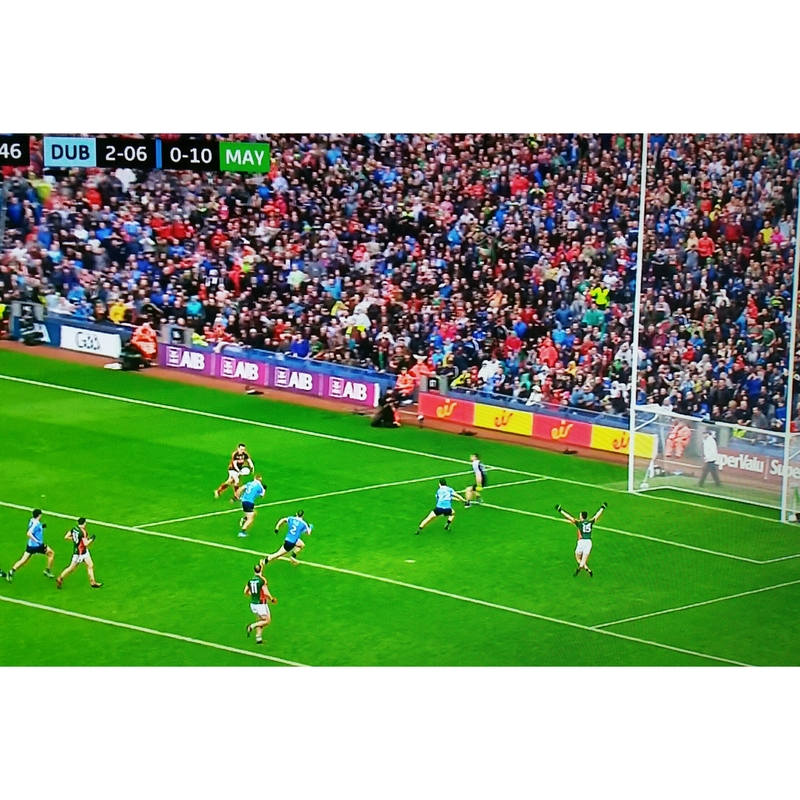 So when Galway went past the 45 Tipperary came out on top 11 – 9. 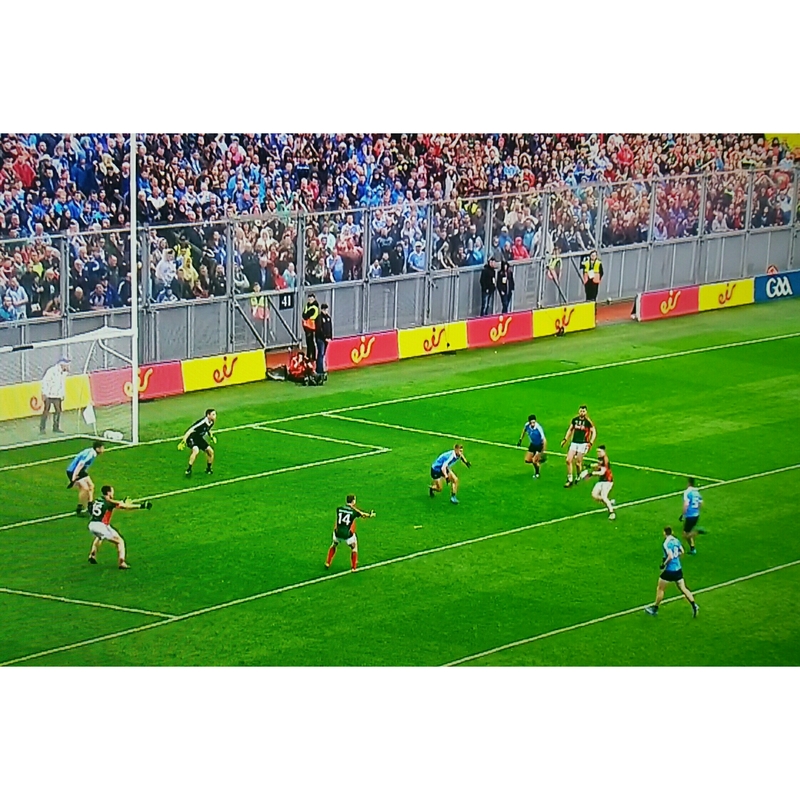 Overall the net scoring on Galway’s kickouts was a washout (Galway scored 1- 05 from the possessions they won and let in 1-04 from the kickouts Tipperary claimed) however this may be an area of concern. 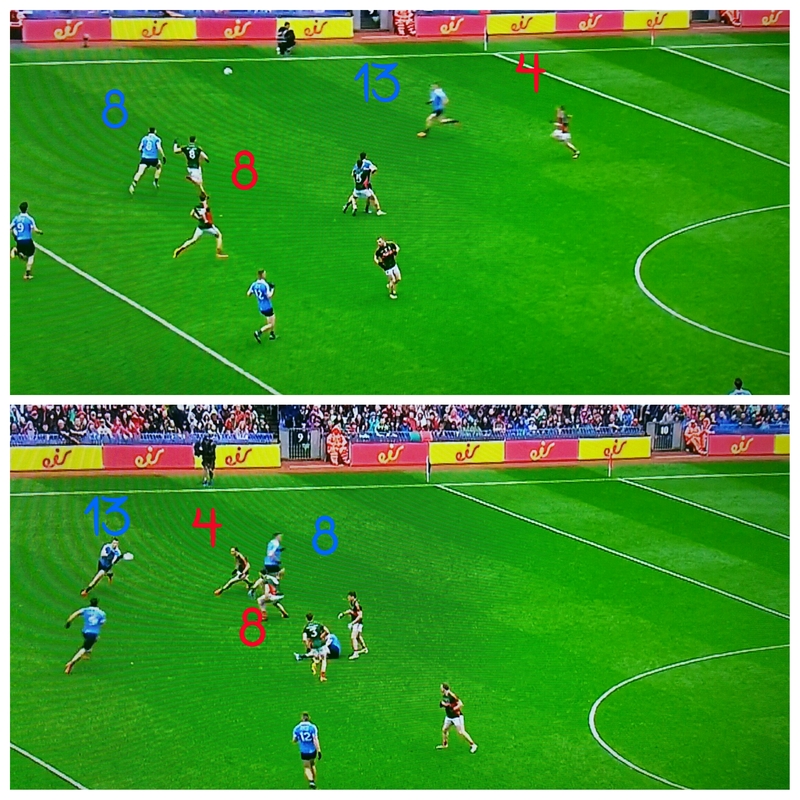 Firstly Galway only scored 1-10 so to let 1-05 in from a set piece is somewhat disconcerting. Plus the goal came from a long kickout which carved open the defence once it bypassed midfield. Also will they have as much possession from either Tyrone or Mayo’s kickouts? And if not can they replace the 1-04? Tipperary’s kickouts? Comerford has been rightly applauded for some of the pinpoint deliveries he had – especially out on the right touchline. Here again however the bare numbers can be deceiving. 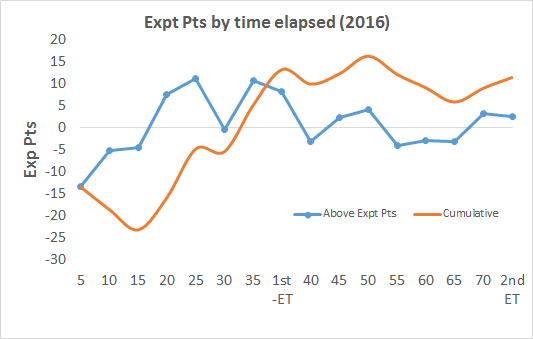 Tipperary gained possession 75% of the time (15 – 5) from their own kickouts 75% of the time. This however includes ten short kickouts so when the ball was contestable – landing beyond the 45 – honours were even at five apiece. 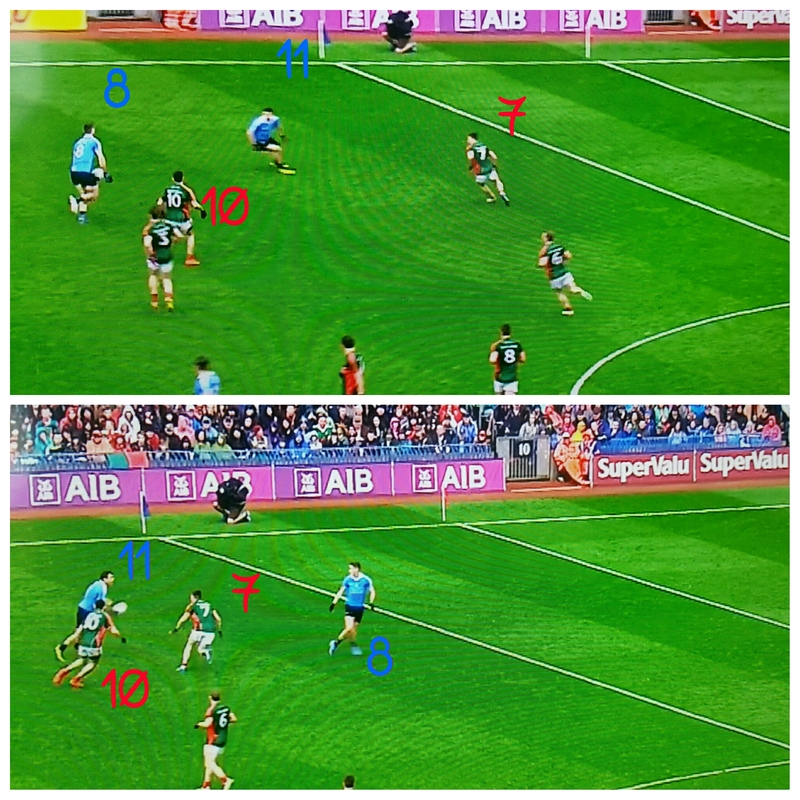 Tipperary dodged a bullet here as Galway couldn’t do anything with these prime possessions, failing to register a point, but it’s hard to imagine Tyrone or Mayo remaining scoreless after winning Tipperary’s kickout(s).